Despite the absence of El Niño conditions (an oceanic/atmospheric circulation pattern that tends to warm the globe), 2013 placed among the 10 warmest years in recordkeeping since 1880. With the exception of 1998—an intense El Niño year—these top 10 years have all occurred since 2000. More important than annual records, however, is the longer-term trend, which in the case of the Earth’s temperature is clearly on the way up. Since 1970, each decade has averaged 0.28 degrees Fahrenheit warmer than the preceding one. (See data.) As emissions from burning fossil fuels and forests have soared since the Industrial Revolution, the amount of heat-trapping carbon dioxide (CO2) in the atmosphere has increased, peaking at 400 parts per million in 2013. The last time the CO2 concentration was this high was over 3 million years ago, when there was far less ice on the planet and the seas were much higher. Much of the 7.5 inches (19 centimeters) of sea level rise since 1901 has been from the thermal expansion of water, but the contribution from melting mountain glaciers and polar ice caps is growing. The amount of ice in the Arctic Ocean is shrinking to new lows. While the loss of floating ice does not directly affect sea level, the shrinkage of the highly reflective cover allows more sunlight to be absorbed, heating the region about twice as fast as at lower latitudes and further accelerating melting, importantly on Greenland. If Greenland’s ice cap were to melt completely, global sea level would rise by 23 feet (7 meters). As early as 2100, seas could rise by up to 6 feet, dramatically redrawing coastlines around the world. With each incremental increase in temperature, the risk of profound disruption increases too. Even a small rise above the freezing point at critical times means the difference between a rain shower and a snowfall, an important distinction for areas dependent on water gradually released from melting snowpack. A preview is on display in California: Following the state’s driest year on record, with precipitation just a third of average, snowpack in the Sierra Nevada Mountains shrank to 88 percent below normal by late January 2014. As the global average temperature has risen, the world has seen an increase in warmer days. In the United States, for instance, more high-temperature records have been set in recent years than record lows. Throughout 2013, while there certainly were cold weather events, no region of the globe experienced record cold. Heat waves have increased in recent decades in some areas, particularly in Europe, Asia, and Australia. Off-the-chart temperatures in Australia made 2013 its warmest year on record, with December marking the seventeenth consecutive month of above-average temperature. 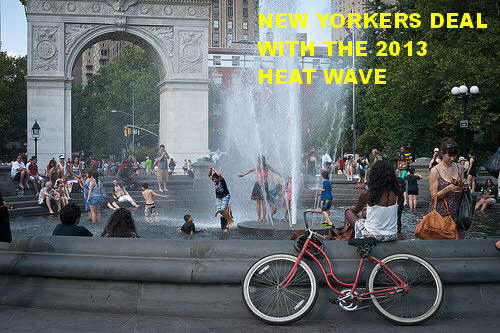 Regional heat waves continued in January 2014, with the inland town of Moomba topping 120 degrees Fahrenheit on the second day of the New Year. In Queensland, an estimated 100,000 bats died from heat stress. In Angola and Namibia, where one of every four people are chronically undernourished, 2013 brought a second consecutive year of extremely low rainfall in a string of 30 years that have tended toward dryness. And a drought in Brazil’s northeast, thought to be the most severe in the last half century, continued from late 2012 into the first part of 2013, with some areas receiving no rain for a year. The result was some $8 billion in losses. Then in December 2013, two months’ worth of rain fell in a matter of hours in the heaviest precipitation in 90 years, leading to severe flooding and landslides. Parts of India and Nepal also received record rainfall in June 2013, with northwestern India receiving double its normal precipitation for that month. The resulting floods and landslides killed more than 6,500 people. The most expensive weather event in 2013, according to reinsurance company Aon Benfield, was the spring flooding in Central Europe that brought $22 billion worth in damages, only about a quarter of which were insured. June flooding in Alberta was Canada’s costliest natural disaster in history, racking up $5.2 billion in damages. A major Canadian property insurer announced premium hikes of up to 20 percent shortly after its CEO warned of “severe weather events becom[ing] more extreme and frequent”—just one of the growing number of businesses realizing the risk that climate change poses to their bottom lines. Some insurers have pulled out from storm-prone coastal areas entirely. In a warmer world, tropical cyclones (hurricanes) are not necessarily expected to form more frequently, but the ones that do develop have a good chance of growing more severe, fueled by additional heat energy. Together with higher seas, which make storm surge more dangerous, and increasing populations and infrastructure in vulnerable areas, this is a recipe for high costs. The year 2013 saw more tropical storms develop than the average since 1980, though fewer than average reached land. In September, Mexico had the unusual experience of being hit from both sides by simultaneous hurricanes in the North Atlantic and the Eastern Pacific. And then in the Western Pacific in November, Super Typhoon Haiyan, the strongest tropical storm ever to make landfall, ravaged large swaths of the Philippines, killing 8,000 people and leaving millions homeless. Winds that reached 235 miles per hour and a major storm surge brought damages tallying an estimated $13 billion. While any one of these events could possibly have occurred prior to anthropogenic climate change, the risk of weather surprises is increasing as temperatures climb. Furthermore, the danger of hitting invisible thresholds—such as the loss of major ice sheets—where the effects of global warming become irreversible on a human timescale is real. With rapid rates of change, adaptation becomes difficult to impossible. For the safety of civilization, governments around the world have agreed on the goal of staying within a temperature rise of 3.6 degrees Fahrenheit (2 degrees Celsius). We will shoot past that mark, however, without dramatic reductions in fossil fuel burning and deforestation. This requires investment, but the alternative costs that will mount from inaction are beyond measure. For a plan to stabilize the Earth’s climate, see “Time for Plan B” and more at www.earth-policy.org. Janet Larsen is the Director of Research at the Earth Policy Institute.